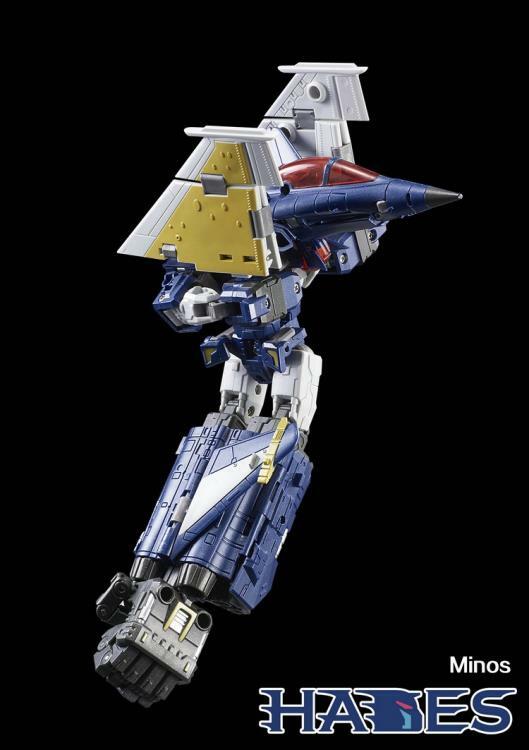 H-01 Minos is a battle robot that can transform into a fighter jet. 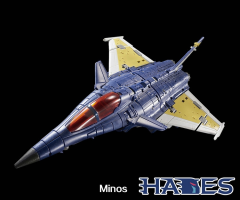 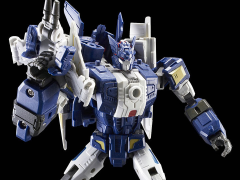 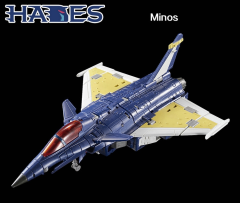 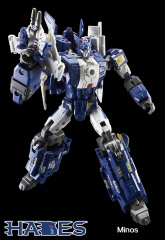 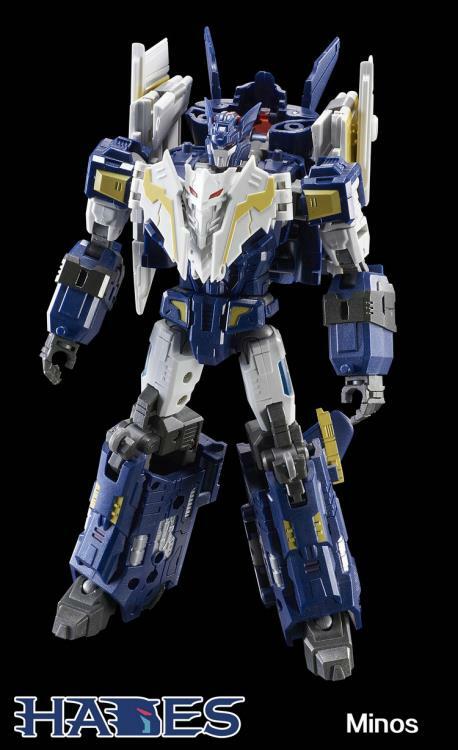 Minos also becomes either arm for the combiner figure Hades. He comes with a pair of hands for Hades and a bat mini-figure that converts into a gun or becomes Minos's breastplate in robot mode.